we had our 3rd anthropologie event this week (so much fun), and we thought we would share with all of you how to make our oversized lockets for your loved ones! download the illustrations that katie evans designed, print, follow along and get creative with it! 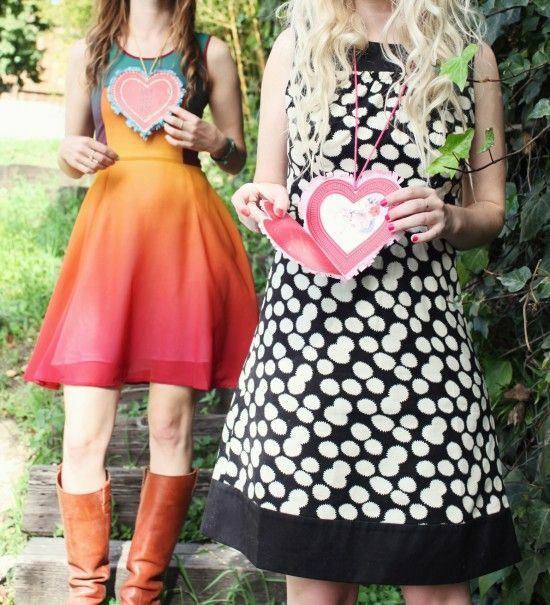 • cut out templates and trace two heart shapes on poster board and cut those out as well. 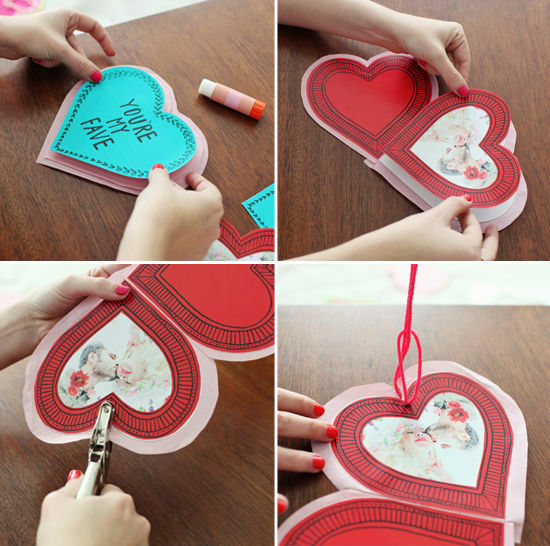 • stack the two poster board hearts on top of each other and tape together by running tape the length of the straight side of the heart and wrapping it around the side to create a hinge to open and close your locket. • close the locket and glue colored tissue paper to the front and back being sure to smooth out any air bubbles and let a dry for a few minute, it is easier if you apply glue stick to the poster board and lay the tissue paper on top. • trim the tissue paper leaving a 1/4 inch boarder on the front piece and a 1/2 inch boarder on the back, this will give you two layers of fringe on your locket for maximum festiveness. • next, cut out the interior space of one of the inside templates and glue on top of your photo, we spent a little time deciding which photos of ours looked best and at what angle, so experiment a little before you commit to gluing. 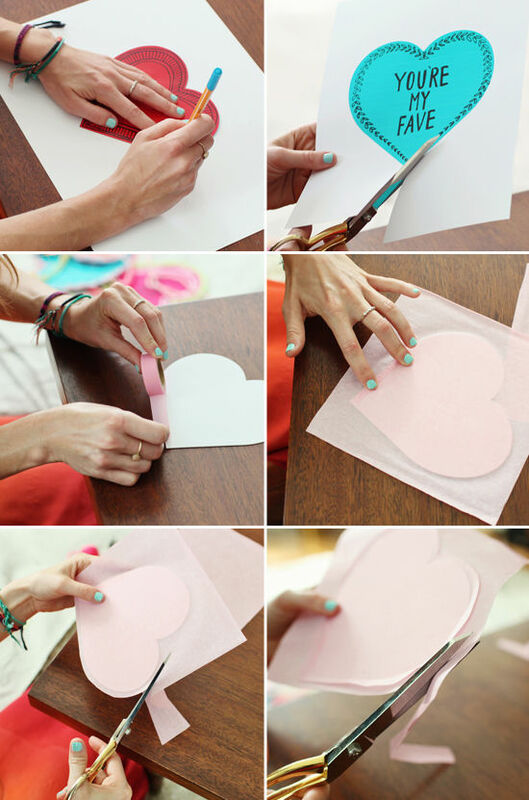 • trim the excess paper around the heart shape. • here’s where it starts getting good… glue your four templates to you poster board locket shape, front, back, inside left, and picture on inside right. • punch a hole through the photo side of your locket. • cut a piece of yarn about 36 inches long, fold in half and feed the loop end through the hole. • take the two ends together and feed them through the loop and pull tight, being careful not to rip the tissue paper edge around your heart, tie a knot at the end. • with an awl or a 1/16 paper punch poke a small hole on the right side edge of your locket, going through both sides. • push a decorative brad through the hole to hold the locket shut while it’s being worn, you can put a small dab of glue to the under side of the brad to keep it in place when you open and close your locket. • trim the fringe around your heart and give it a good ruffle to add a little volume. • add some glitter to the front and back of your locket with glitter glue. • write a personalized message for your loved one. 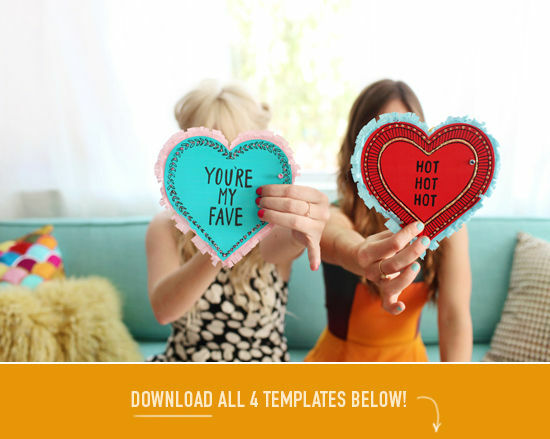 • close it up and place in your outgoing cupid mail. This is so sweet! 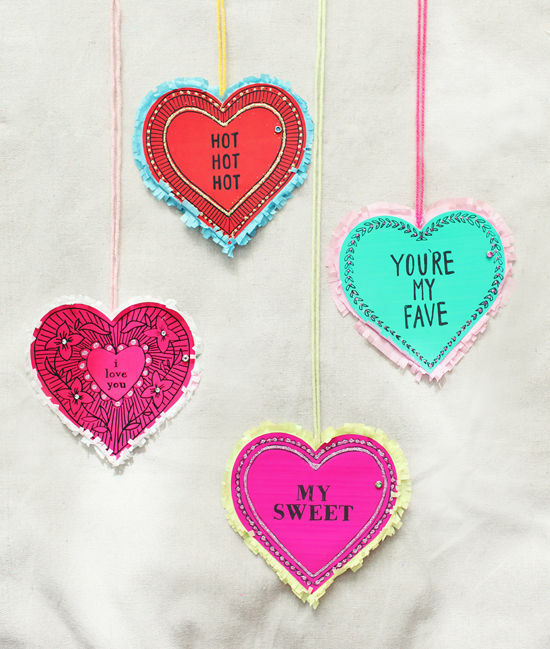 valentines for big girls! I love this creation with pens, paper, and your own two hands! It’s almost a novelty these days! Perfect in every way! Gotta make these, just in time for the V-Day! This is too great! Great job ladies. OMG these are seriously too cute! LOVE. Such a good idea for V-DAY! your photos are always so pretty, what camera/lenses do you use? Such a lovely D.I.Y.! Definitely going to try this. I love the rug in the living room picture! Where is it from? this is so beautiful! 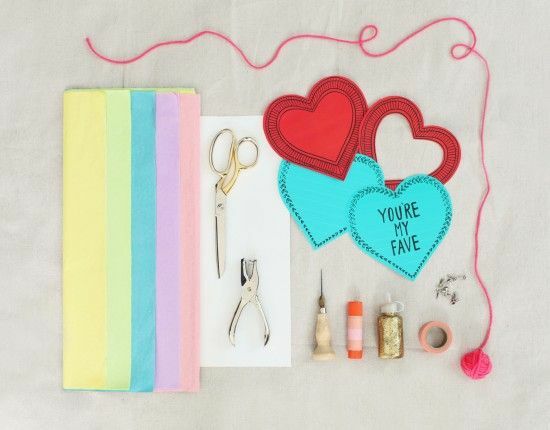 i adore the post and the diy tips. newest follower! Is that your living room? It’s adorable. please let me know what blue nail polish that is! I have been searching for that shade forever and never find one just right. Is that your living room? Absolutely amazing. Can you do a home tour at some point for the blog? You have the best taste! brilliant! love. does that rainbow dress have a name??? When do we get to see the new house tour?!?! Daawh, these are adorable. 🙂 I can;t WAIT to see a house tour, by the way! I love the jungle right in your living room! love the valentines. super fun idea. This is totally random comment but I am in love with your vintage maroon/pink foot stool! I have been looking for one and that one is amazing!! 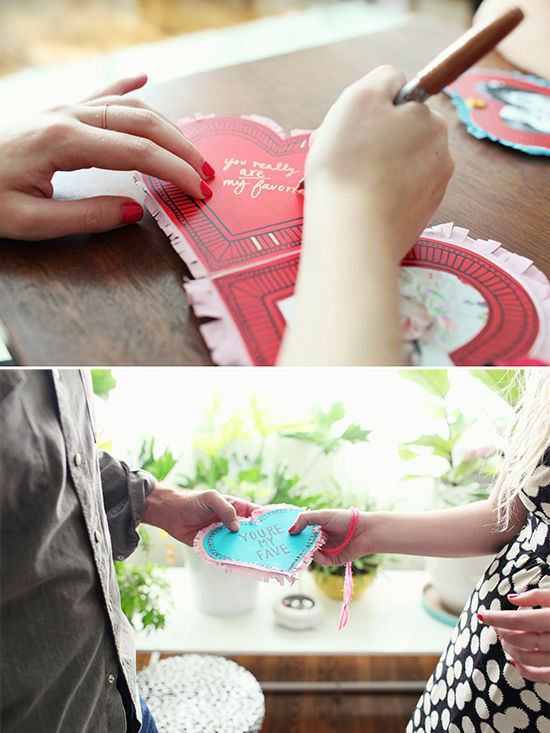 Super cute diy I tried my hand an making valentines but they didn’t turn out. 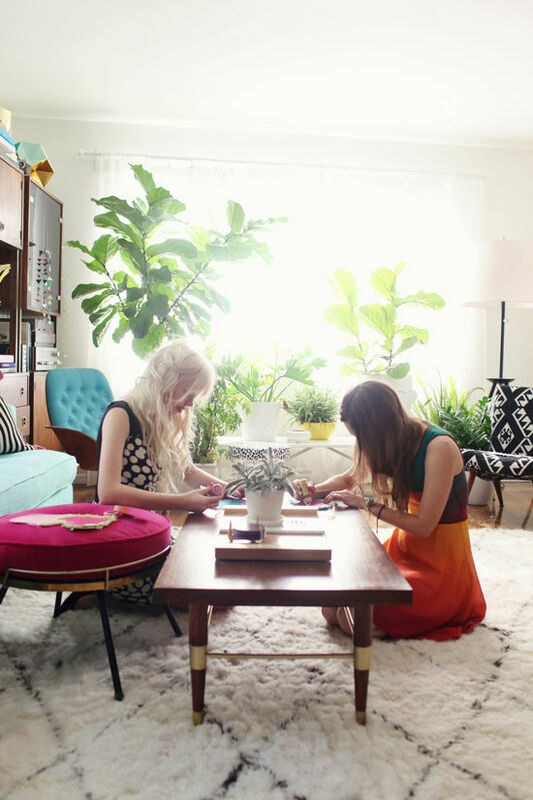 Where did you get all your awesome houseplants? Where is that rug from?? It is too die for! ooh, how fun! great templates. and love that big window & all the greenery. gorgeous.